Touring across venues in Ryedale, the show will take you on a visual journey that will captivate all generations whilst exploring the back story of RJC Dance. ‘Music is the shorthand for emotion’ said the novelist Tolstoy, whose novella The Kreutzer Sonata inspired one of Janácek’s most dramatic and searingly emotional works. 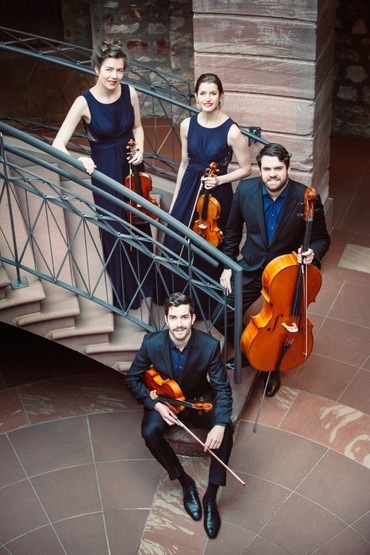 The brilliant young players of the Aris Quartet contrast its turbulence with the radiant good spirits of Haydn’s Sunrise quartet and the profound contentment of a late masterpiece by Dvořák. After the concert, the festival’s Artistic Director Christopher Glynn will introduce the programme for the 2019 Ryedale Festival.